On 9 April 1981, 24 years ago, republican POW and Hunger Striker Bobby Sands was elected to Westminster as the MP for Fermanagh/South Tyrone. On 30 March, Bobby was nominated as candidate for the Fermanagh/South Tyrone by-election, caused by the sudden death of Frank Maguire, an independent MP who supported the prisoners' cause. The next morning, day 31 of his Hunger Strike, he was visited by Owen Carron, who acted as his election agent. Owen told of that first visit: "Instead of meeting that young man of the poster with long hair and a fresh face, even at that time when Bobby wasn't too bad, he was radically changed. He was very thin and bony and his hair was cut short." Bobby won over 52% of the vote in the by-election compared to 49% for the candidate of the Official Unionist party, Harry West. "The nationalist people have voted against unionism and against the H-Blocks. It is time Britain got out of Ireland and put an end to the torture of this country." Bobby had no illusions with regard to his election victory. His reaction was not one of over-optimism. After the result was announced, Owen visited Bobby. "He had already heard the result on the radio. He was in good form alright but he always used to keep saying, 'In my position you can't afford to be optimistic'. In other words, he didn't take it that because he'd won an election that his life would be saved. He thought that the Brits would need their pound of flesh. I think he was always working on the premise that he would have to die." 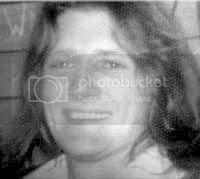 At 1.17am on Tuesday, 5 May, on the 66th day on hunger strike, Bobby Sands MP, died in the prison hospital at Long Kesh. Republicans in Bundoran have opened a garden in memory of all those who lost their lives for Irish freedom. Some of the families of the men who died in the 1981 hunger strikes travelled to Bundoran for the opening ceremony which was attended by a large crowd of onlookers. Fr Des Wilson gave the oration. There was also a large garda presence but the day’s events passed without incident. Among those family members who attended were relatives of Kieran Doherty, Thomas McIlwee, Patsy O’Hara, Kevin Lynch and Francis Hughes who all died during the hunger strikes of 1981. The family of Frank Stagg who died on hunger strike in England also attended. The five IRA men who had plaques erected in their memory are Paddy Carty, who had family connections in Bundoran, Dermot Crowley and Sean ‘The Crow’ Loughran who were killed outside Omagh in 1973, Antoine Mac Giolla Bhríghde and Ciarán Fleming who was one of the 1983 H-Block escapees. The garden, on a site in the west end of Bundoran, overlooks the Atlantic ocean and Donegal mountains. A celtic cross carries the names of five IRA volunteers who were killed on active service. There are individual plaques to honour the ten men who died on the 1981 hunger strike and Frank Stagg and Michael Gaughan, who died on hunger strike in England. Some have criticised the new memorial saying it is not inclusive and does not commemorate all local volunteers. Mr McMahon was referring to Joe McManus, a volunteer from County Sligo who was killed in Mulleek, Co Fermanagh. Organisers say Easter Monday’s unveiling was the result of nearly 20 years work from a small committee who first had the idea for the garden in 1986. Joe O’Neill sits on the committee. He said: “It was always our intention to keep politics out of this. When we started we had a list of names we wanted to commemorate. I have friends and relatives who were volunteers, some from this area, who lost their lives but they are not mentioned. We will keep that for another day. Over 1,000 people visited the garden on Easter Sunday as visitors filled the seaside town of Bundoran over the bank holiday weekend. Organisers say they will add more names to the list of those remembered in the garden over time.